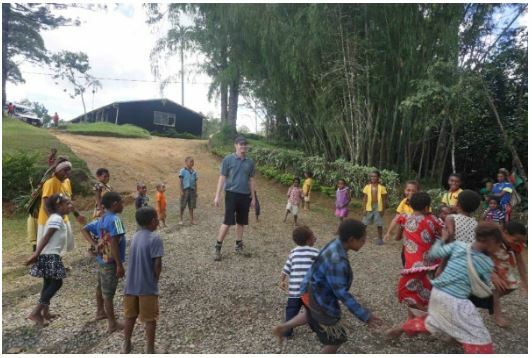 This photo was taken on a recent trip at Mananda Health Centre, Hela Province Papua New Guinea. In March 2016, I started my own architectural practice called PAWA Architecture in Cairns, North Queensland. 3 weeks later, I registered the company in Port Moresby, Papua New Guinea. Now in its third year of operations, PAWA has 10 staff across two countries and is working on some very exciting projects throughout regional North Queensland and the Pacific. Port Moresby is approximately one hour and thirty minutes flight away from Cairns and in fact is the closest capital city- even closer than Brisbane. I believe it is important for regional firms to be very agile and intimate in their approach and really need that “x-factor” to be able to operate sustainably. What do I mean by Agile? Well here’s an example of my week earlier this month. I attended an education design conference in Sydney on Monday and Tuesday. I flew to Cairns on Wednesday. I flew up to Bamaga (Cape York) on Thursday and ferried over to the Torres Strait later that afternoon. On Friday I flew back to Cairns and on Saturday I was in Port Moresby, PNG! Earlier this week I returned back to Port Moresby after spending 15 days in the remote highlands of PNG undertaking earthquake damage assessments. We visited 25 health facilities and various schools whilst engaging with hundreds of women and men including thousands of kids! The role of the architect extends way beyond the set of design drawings. We are place makers and we influence and shape community. My number one priority when working out in the field is to listen and engage. I seem to be doing ok as I always leave with a huge smile on my face surrounded by happy members of the community!